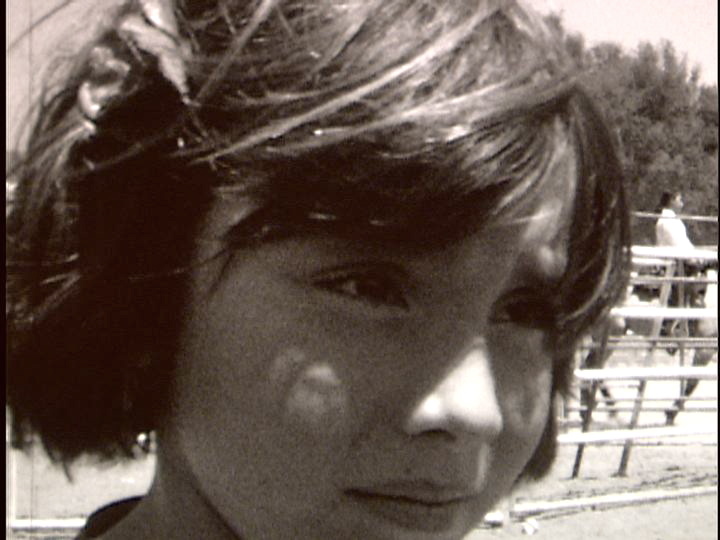 As some of you may already know, my new film, Toñita Runs Away, will premiere next month. Below is an interview with the curator. I hope you can make it. Part film curator and part filmmaker, Neil Kendricks is a guru of the silver screen. Throughout the year he visits film festivals across the country, painstakingly plotting to bring the very best selection of this year's short films to alt.pictureshows, MCASD's annual film festival. Take a look at what he's got up his sleeve for the 10th anniversary of this highly anticipated event. Don't miss the action on August 30, 7-10 PM, at MCASD La Jolla. Get your tickets now. Q: In 30 words or less, tell us what a Film Curator does. A: Like my curatorial colleagues in painting, sculpture and photography, a film curator seeks and secures exceptional films for non-theatrical screenings in a Museum context. You strike a balance between your own curatorial tastes with what realistically can be achieved within the limitations of your resources. Sorry that’s over 30 words. Q: We know you’re not supposed to play favorites, but which films are you most excited about showing this year? A: There are so many extraordinary short films to watch that viewers in San Diego wouldn’t get a chance to see otherwise. The two most poignant films are Anna Musso’s sublime L Train and Lucy Walker’s Oscar-nominated documentary short The Tsunami and the Cherry Blossom. I saw both films at Sundance and I was struck by the extraordinary power of the filmmakers’ respective skills for compelling storytelling using the short-film format. Without relying on dialogue or visual effects, L Train is a small-scale epic of the human heart in conflict with itself. Q: How do you pick films for alt.pictureshows? What’s your process like? A: I look for unique short films that move my heart while making me think. Then, the rest is similar to being a producer. I negotiate with filmmakers about screening their work with my eye on the prize of organizing the range of work in a manner where the short films resonate with one another. Q: What is it you’re looking for as a film curator? What is it about a film that stands out or grabs your attention? A: I’m looking for films that have something original to say; films with a unique point of view. Of course, this description is an oversimplification of the multi-faceted challenges of creating a one-of-a-kind, micro-cinema experience from the ground up. The detailed process is very organic since I’m looking at films throughout the year and developing each viewing station as I go. Patience and having a good eye and ear for powerful, original short films that will connect with viewers are crucial. Q: Tell us a little bit about your background as a filmmaker. A: At SDSU’s graduate film program, I made 16mm and Super 16mm short films where I learned the ropes of screenwriting, directing, cinematography and producing and collaborated with my close friend Teri Lang who edited my work. My most personal short Loop screened at the 2002 Havana Film Festival and a special screening at the American Pavilion at the 2003 Cannes Film Festival. My film education wouldn’t be complete without watching countless movies and talking to established filmmakers. However, my true masters class in cinema was being a freelance writer and interviewing such major filmmakers as Paul Thomas Anderson, Quentin Tarantino, Jim Jarmusch, Terry Gilliam and Paul Schrader, among others. Perhaps, some day, I’ll find the time and funding to write a book of interviews based on transcripts from my recorded interviews. My current project is the feature-length documentary-in-progress Comics Are Everywhere, which chronicles the personal journeys of emerging artists JJ Villard, Danni Shinya Luo, and master cartoonists Daniel Clowes of Ghost World fame, Love and Rockets co-creator Jaime Hernandez and others navigating the vibrant, pop-cultural intersection where alternative comics, animation and the Art World collide. Driven by a shared passion for sequential art, these artists pursue personal visions and wrestle with the age-old question "What does it take to create?" I will be launching the film’s Web site, www.comicsareeverywhere.com this summer. Q: Name one of your favorite moments from a film you’ve selected for this year’s festival. A: I can’t name just one. The most important moments are the ones when viewers find themselves engrossed in a film that gets under their skin and stays with them. You see this engagement in the mixture of delight and surprise flashing across people’s faces at the event. That’s very rewarding to watch. Q: This is the 10th anniversary of alt.pictureshows. Why do you think it’s stuck around so long? A: What separates this unique short-film showcase from more traditional film festivals is alt.pictureshows’ unique viewing format for “physically channel surfing” and my approach to selecting films. Rather than use a call for entries, I’ve always made my carefully selected choices from the vantage point of an artist finding work that really has something to say. It’s not unlike a curator making visits to a painter’s studio and crafting a show while the work is still being made. In the case of several films, I negotiated with the filmmakers over a period of years until the lineup and timing was right to show their work at MCASD. Q: Tell MCASD Members what makes this year’s alt.pictureshows so special and why they absolutely CANNOT miss it? A: This year’s alt.pictureshows marks its 10th anniversary with a “greatest hits” selection featuring some of the festival’s best shorts from the past decade. Looking at this year’s lineup of new, remarkable short films from around the globe, you will find everything from documentary realism and witty comedy to brilliant bursts of gallows humor and lyrical, experimental music videos. I can honestly say that alt.pictureshows is both avant-garde and entertaining. What more could you ask for? Today, in one of my culture vulture emails, there was a feature on remote places. One of them was Rapa Nui, aka Easter Island. Images of a couple on that island immediately flooded my mind. I thought of Certified Copy and Before Sunrise. I googled. 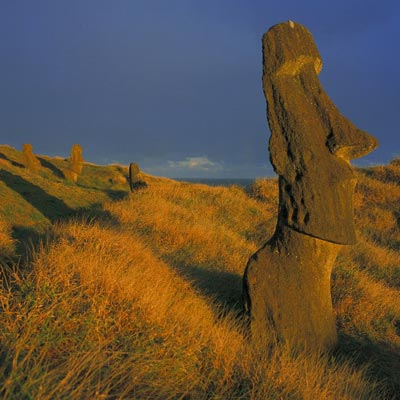 Discovered in 1771 on Easter Sunday, (hence its name), Easter Island is a World Heritage Site, but also the most isolated place in all the planet, at a distance of 3,700 km (2300 miles or a 5 hour flight) from the nearest populated point, which is the Chilean main land. I want to shoot my first feature there. All I need is airfare and accommodations for five people for 10 days. And a story of course. I haven’t directed my first feature because, despite having lots of ideas, nothing has struck me as something people would want to see. It’s different with features. You need more money and investors. And you must have a responsibility to the investors. Before you shoot one frame, you should have a distribution plan beyond hoping that you get into a major festivals. I didn’t want to do that kind of thinking. I didn’t think I was ready. 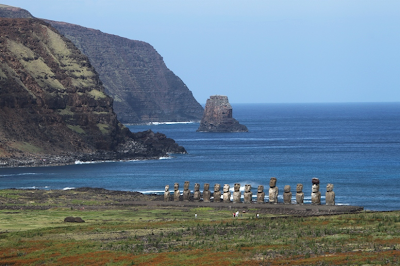 Somehow, the images of Easter Island tell me I am. After I finish the two shorts I’m working on now, all my energy will go into this crazy endeavor. It maybe be nuts, but it’s a goal I can see.